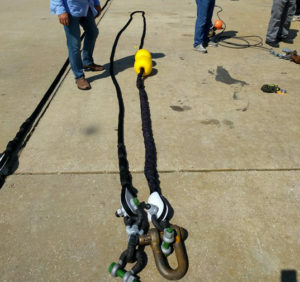 Coastal Engineering Consultants (CEC) recently assisted US Coast Guard Research and Development with engineering and dive services as the Coast Guard embarks on a two-year experiment to test new environmentally friendly buoy moorings. 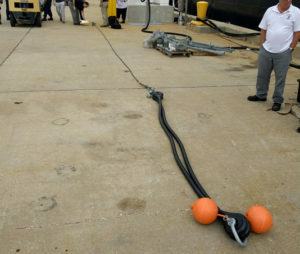 Currently Coast Guard navigation buoys utilize concrete anchors (called sinkers) and heavy metal chains. 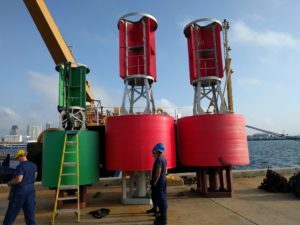 These buoys often get displaced in severe weather or a lax chain will sweep across the seafloor, causing significant damage to the surrounding seafloor and natural resources. 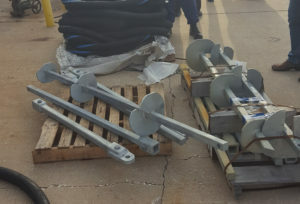 In April, the Coast Guard replaced the concrete sinkers and metal chain on several navigation buoys in Tampa Bay, FL with helical anchors and an elastic mooring line. 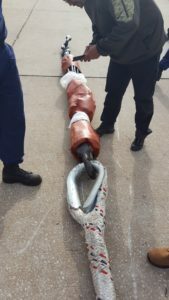 Over the next two-years the Coast Guard will monitor their durability and prepare a final report to support future decisions. 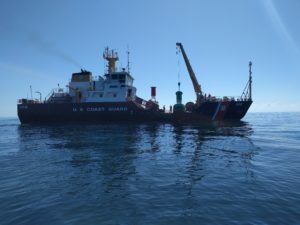 CEC looks forward to assisting the Coast Guard with this ongoing project.